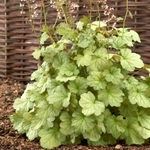 Heuchera 'Pinot Bianco' is a sport of 'Pinot Gris'. 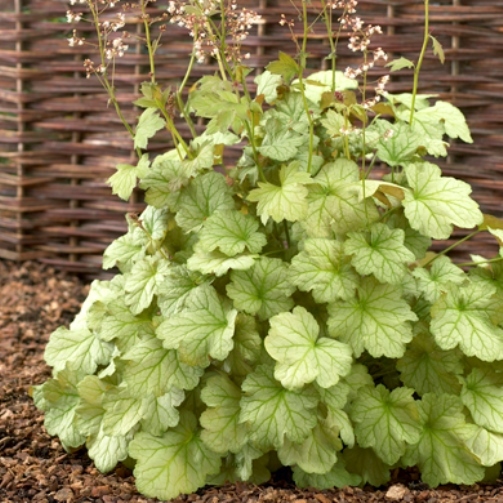 At the height of its color display the foliage is lime-green with a silver overlay giving it bright frosty appearance. Magically the foliage darkens to shades of purple. Its villosa genes make it tolerant of summer heat & humidity.